This month have been like the previous one, packed with beautiful pictures proposed by the NASA and it’s astronomy picture of the day. You will find in today’s article my selection of the most beautiful photos. They will make you travel from the vincinity of Earth to the infinity of the Universe. 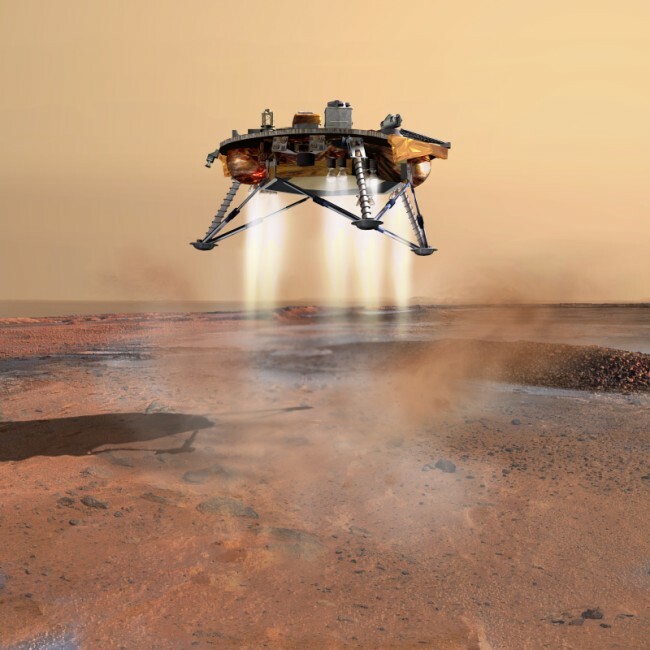 APOD proposed also two videos related to Mars, as today a new mission starts there : Phoenix. 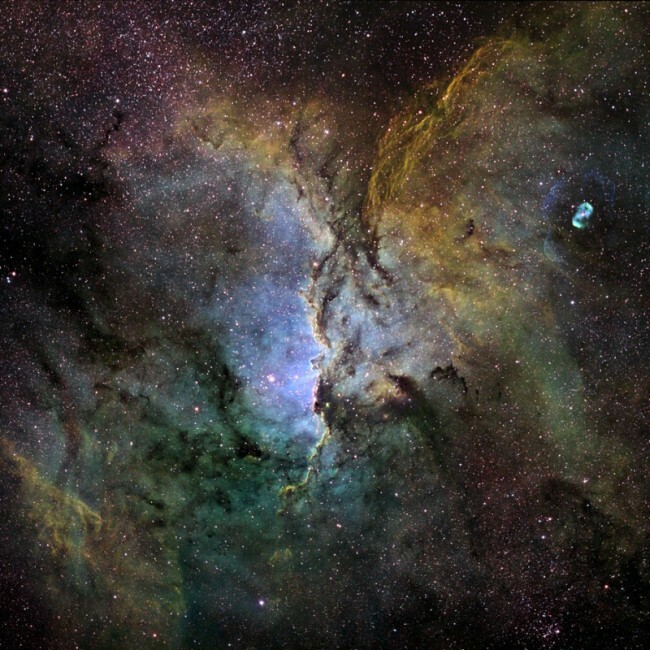 April finished in a brilliant way with a magnificent photo of the Star Forming Region NGC 3582. A bright orange picture that remind us that beyond the darkness of night lies myriad of colours and shapes. Another nebula was proposed a few days later, with NGC 6188. This one (pictured above) show us much darker colours with shades of blues, greens and purple. This image is so nice that I used the original as a desktop wallpaper for more than a week. Another image that is worth being gazed at is Alborz Mountain Milky Way. It combines elements of the Mt. Damavand near the Caspian See and the Milky Way. A must for those of you who have widescreens. 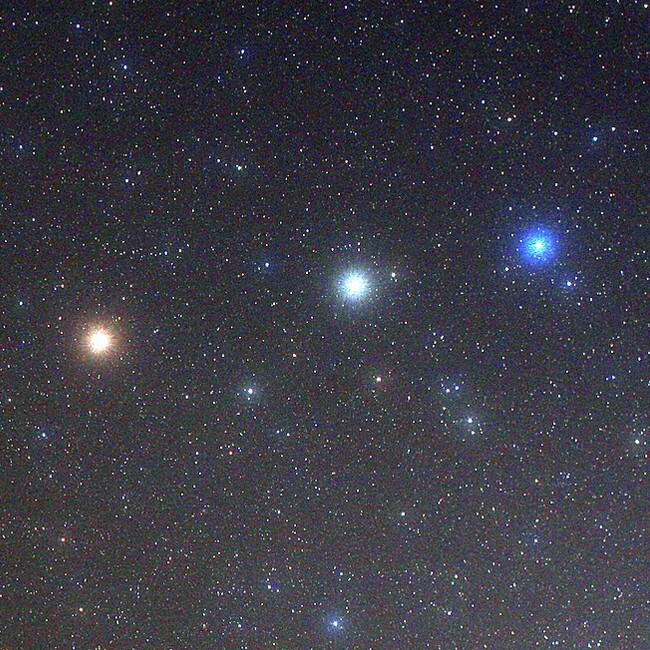 The next image with the three bright dots on you right are respectively our neighboring Planet Mars, and stars Pollux and Castor from the Gemini constellation as shown in Stars and Mars. I find it very nice as it shows that even if we can’t see with our naked eyes but shades of gray, astrophotography reveal us colorful images. Other category of objects that can be observed with a truly dark sky is galaxies. NGC 3628 is represented here sideways. It has the particularity to be the only galaxy in the Leo Triplet in the eponymous constellation not to be mentioned in the famous Messier catalog. Nature seem to use similar forms for various things. Indeed, a typhoon and a galaxy bear strong resemblances. This is clearly showing in Logarithmic Spirals. The other one – Flying Over the Columbia Hills of Mars – combines data from previous missions on Mars to present us what it would be like to fly over the region where Phoenix will land. Edited on May 27th, 2008 to change the image of Phoenix Landing. This one is small version of an image provided by the NASA. See the website of the mission for more news and data.